The Rickie Report suggested I report on CERF+,a support organization that has often come to the rescue of artists who incur losses from natural disasters, fires, floods, or extreme heath challenges that might prevent them from continuing their careers. 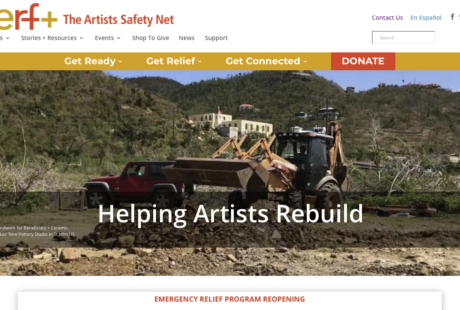 The CERF+ tagline is appropriately, “The Artists Safety Net.” As revealed on their website, their support for artists is incredibly comprehensive. I was pleasantly amazed. CERF+ offers guidance meant to create long, sustainable careers for today’s artists. The site covers health issues through its “Wellness for Makers” program. In addition, it offers career advice, grant writing instruction, an insurance hub, and information for setting up and protecting one’s creative assets. CERF+ is essentially a one-stop-shop and guide for an artist’s career. I hardly knew where to begin describing this impressive organization. I decided that the best strategy would be to call Jenifer Simon, Director of Programs and Outreach, and have her clarify the organization’s primary mission and provide me with case histories of some of their previous work. Jenifer and I spoke by video chat. Caren:Can you tell me please about some of the highlights of CERF+ as a service organization? Please point out features of the website that artists will find most helpful and interesting. Jenifer:The CERF+ website is a combination of two sites that had previously been separate. The CERF site had been on its own as a service organization, while the Studio Protector site, which is all about preparedness, responding to and recovering from emergencies, had been independent. We combined the two sites within the past year to create one mega-site. The “Craft Emergency Relief Fund” is about our Emergency Relief Assistance and the “+” is all about our readiness work. Caren: Are the content contributors on the CERF+ website employees of the organization? Jenifer:All the featured artists are beneficiaries of CERF+.Our goal is to not only motivate artists to look at the website, but to implement some of the recommendations. We’d like to show different ways that artists can talk about having resilient careers. Some are beneficiaries of Get Ready Grants.These are in the amount of $500 and enable artists to practice preparedness to mitigate disaster. Preparing for disasters is not an attractive topic for most artists, many of whom are focused on more immediate concerns such as earning a living, finding health insurance, and getting jobs. It is a challenge to get “preparedness” on an artist’s radar. 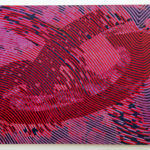 Caren: I plan to recommend that all artists visit the CERF+ website to help with their careers. The depth and breadth of the site is enormous. It could become overwhelming. Could you please tell me the best way to gather information from the site? Jenifer:That is a good question. We will be working on the site to make it more personalized so that artists can navigate based on their individual situations. For example, The Studio Protector and Plan Ahead tabs prompt the site visitor with an assessment that helps choose what he/she can least afford to lose. Zeroing in what would help the individual artist the most assists each visitor to navigate the site. Jenifer: I personally had an experience where I stored some of my prints in my parents’ basement. The basement got flooded and the prints got wet. An article on CERF+ taught me that placing artwork in the freezer is a good way to avoid or reduce mold. 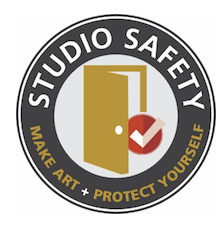 We are trying help artists understand that they have to treat their livelihood as a business by thinking about safety, risk reduction, insurance and sustainability. Caren: One of the challenges for artists is to prove that their work has value over and above the cost of supplies. Jenifer: Absolutely. If you don’t have documentation of how much your work was sold for, then you can only recoup the cost of materials. Many artists do not have business insurance because they think it is too expensive; however, it is very affordable based on the value of what is being insured. But itis heartbreaking to have your work destroyed. The personal value and meaning of one’s work is priceless. All work must be documented. Caren: Jenifer, thank you so much for your time. You must be proud of CERF+. Jenifer: I’ve never worked for an organization that has as much integrity and discipline as CERF+. We are very careful about the decisions we make. We are stewards of a kind of mutual aid created by artists. Half of our donors are artists.62% of the CERF+ budget comes from donations; the remainder is from grants. If you would like to donate to CERF+ please visit https://cerfplus.org/donate. Given Jenifer’s helpful information, I wanted to know more. Who created CERF+? I gathered preliminary information. In 1985, the Craft Emergency Relief Fund (now a program under CERF+) began when co-founders Carol Sedestrom Ross, then president of American Craft Enterprises, and glassblower, Josh Simpson, recognized the inherent generosity within the craft community. Artists would “pass the hat” to collect monetary donations during shows and exhibitions in support of fellow artists dealing with emergencies or having a difficult time. A lot of artists and musicians had no safety net. They are often left out of the recovery effort because replacing musical instruments or art supplies is not considered to be part of essential emergency relief. CERF leadership helped found the National Coalition for Arts Preparedness and Emergency Response whose members include the Actors Fund, Music Cares, South Arts, the New York Foundation for the Arts, among others. They have conference calls every couple of weeks to discuss current disasters, relief activities, and to identify available resources. Thank you for telling me about the CERF+ website. I have donated to CERF for many yearsbecause I know this organization helps artists recover after disasters. I like reading the personal stories of artists who survived and were able to do their art again. This CERF+ website is a whole other new thing! 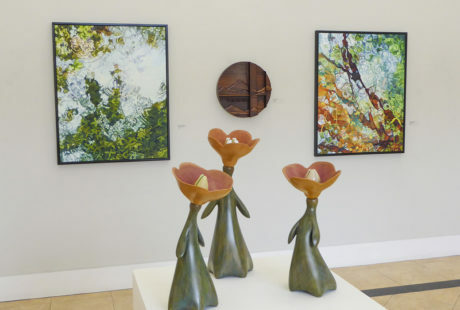 I am amazed and impressed by how comprehensive it is,everything from marketing and legal and financial advice to health and wellness and much more.I have been a sculptor for over forty years and now I am painting. We artists are usually self-employed and have unique situations when it comes to legal and financial issues. I am very grateful that there is an organization like CERF that cares about us. My initial thoughts on CERF+ are that it’s a pretty unique resource. I’ve seen individual articles here and there about what to do with your work in an emergency. 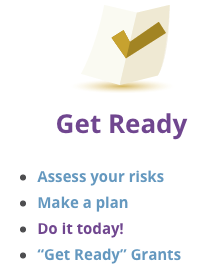 Of course, I know of a number of emergency relief grants; but to have all this information centralized into one resource and knowing that CERF+ offers grants to prepare in advance, rather than just in the event of an emergency, is pretty special. The longevity of my work and my archive is something I think about a lot, and it’s part of the reason that I took some conservation-based classes in undergrad. But I think a lot of young artists aren’t particularly concerned about it until later which is probably not the best way to go about it. CERF+ is not only a great resource for this kind of practical knowledge, but their self-care and wellness section does a great job of working to dismantle the idea that “making it” in a sustained studio practice requires physical sacrifice and grinding yourself down until you’ve suffered enough to be worthy of success. The idea of the starving artist in perpetual struggle is being challenged bit by bit, and these kinds of resources help to normalize the idea that you’re better off getting a full night’s sleep and plenty of stretch breaks rather than regularly painting through the night just because “that’s what it takes”. Overall, I think all artists can do with more long-term preparedness. That’s something CERF+ is focusing on in terms of artists’ physical and mental health and the physical preparedness of the artwork itself. I’m personally excited to explore more, and I’ve been thinking about how to database my archive of digital images and works recently, hoping they have some new info for me!